QUEEN’S GUIDE AWARD FOR CERISE. Cerise Moody from Lake has been awarded the Queen’s Guide Award, the highest attainable award for members of the Girlguiding movement. Presentations of her badge and certificate were made by Patricia Partridge Girlguiding IW President and Island Commissioners Shirley Saunders and Lesley Clifford were in attendance at the special ceremony held at St. John’s Annex, Sandown. Patricia congratulated Cerise on her achievement saying that the Queen’s Guide Award was originally introduced to Girlguiding in 1946 and is an extraordinary achievement. Over the years a number of Island residents have been successful in completing the five different areas of personal challenge – each designed to test the participant in a different way. Cerise presented a slide show of her activities to the audience commenting on the diverse activities she had taken part in. Patricia highlighted her achievements saying, “Your Service in Guiding has been exemplary –I would have enjoyed being a judge at your Bake Off event, and it was excellent that you could be involved as a volunteer at Spark, the Senior Section celebrations at Alexandra Palace, London giving you the opportunity to meet other Senior Section people from around the country – because we are all members of not just an Island organisation, not just a national organisation, but a global organisation, with sisters all across the world. For your Outdoor Challenge I see you completed your Senior Section Permit in the Going Away Scheme, taking Rangers away for the weekend to explore the historical buildings around Southampton. Personal skills – church bell ringing – a skill I imagine you never knew you had, and how lovely that you are carrying it on. You see, this is what Guiding is all about – trying new things, testing your limits, sharing your skills, and all these are embodied in the Queen’s Guide Award. Patricia added, “Her Majesty the Queen became a Guide in 1937, joining the 1st Buckingham Palace Guide Company. In 1952 she became, and remains, to this day, Patron of Girlguiding UK. Her Majesty is a wonderful role model for us all, and you too Cerise are a wonderful role model for younger members of Girlguiding Isle of Wight, having achieved this award through personal challenge. Cerise has been a member of Girlguiding IW for a number of years having been a Rainbow, Brownie and Guide prior to becoming a Ranger and leader. 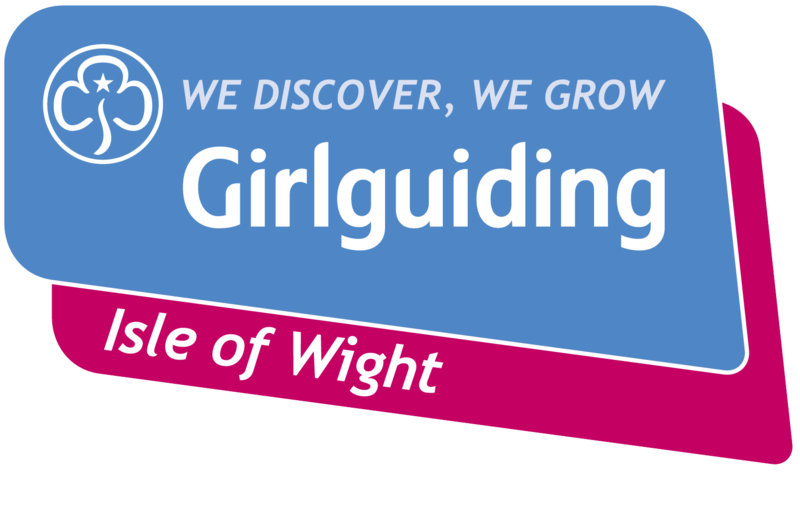 At present she is involved with Lake Guides and East Cowes Guides as well as being a member of South East Wight Rangers.